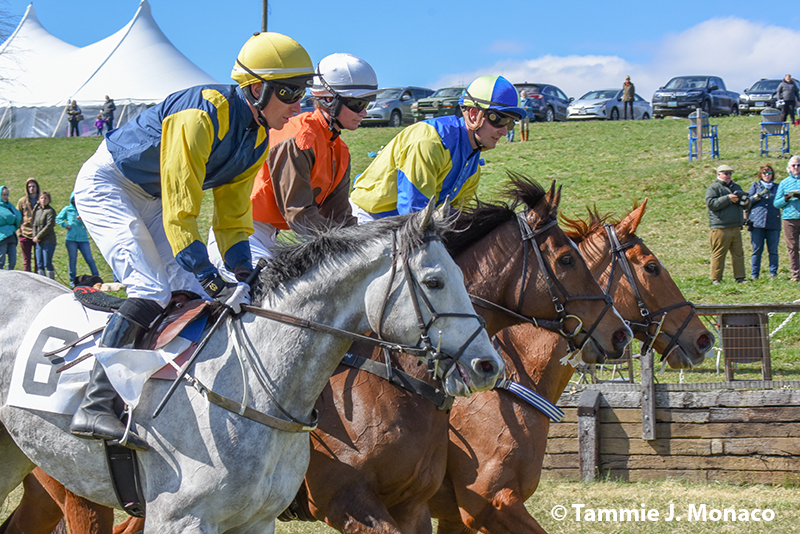 The 2019 Maryland Steeplechase Association’s Governors Cup Series kicked off on Saturday, March 31 with the Green Spring Valley Point-to-Point at Shawan Downs in Cockeysville. On a brisk and sunny afternoon, the race day began with the ponies and wrapped up with flat races. EHM Stables ponies took win, place and show in the Large Ponies Flat Race. Charlie Marquez rode Charmed for the win while Maddie Rowland came in second aboard Marigold and Chase Damron and Haulin Oats finished third. All three ponies are trained by Betty McCue. Maddie Rowland took home a win the the Stuart S. Janney, Jr. Memorial Jr. Field Masters Chase Large Ponies division. She rode Bailey for EHM Stables and Betty McCue. EHM Stables’ Thumper won the Medium Ponies division with James Wyatt in the irons. Sophie O’Brien won the Small Ponies division riding her own Blue. Mast Strike, ridden by owner Charlie Marquez, won the Stuart S. Janney, Jr. Memorial JFMC Thoroughbred Horses division by 10 lengths over Chase Damron and My Jelly Bean. The big win of the day was Mystic Strike in the Green Spring Valley Hunt Cup Frank A. Bonsal Memorial Open Timber. Ridden by champion jockey Mark Beecher and owned by Upland Partners, the Todd McKenna trained gelding won by a neck over Jack Doyle on Carrickboy (Moringstar Farm/Ricky Hendriks). Beecher won earlier in the day aboard Boogie Biz in the Worthington Bowl Heavyweight Timber. Boogie Biz is owned by Happenstance and Michael Beecher and trained by Mark Beecher. Beecher finished out the day with another win, this time in the second division of the Stoneworth Farm Training Flat. He rode Tap the Moment, a horse he trains as well, for owner Patricia L. Bosley. Hadden Frost piloted Political Theatre to win the Daniel Baugh Brewster Memorial Novice Timber for owner Hyggelig Haven LLC and trainer Jack Fisher. James Slater and Andi’amu pulled ahead in the final stretch of the Amateur Flat race to win by eight lengths. 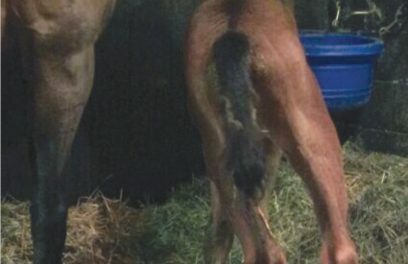 The French gelding is owned by Ballybristol Farm LLC and trained by Leslie F. Young. The Stoneworth Farm Training Flat was a tighter race with Leopold winning by two lengths. Ridden by Jack Doyle, Leopold is owned by Bruton Street-US and trained by William Dowling. Dowling trained the second place runner Leopard Cat, owned by Kiplin Three, as well. There were four runners in the always popular Grace Miller Whedbee Memorial Side Saddle Field Master’s Chase. Gun Lobby earned the win for trainer/owner/rider Julie Nafe. Next up on the MSA spring schedule is the Elkridge Harford Hunt Point-to-Point this Saturday (April 6). Hope to see you there! Triple Crown announces new partnership – what does this mean for local stores?